How did .conf2017 compare to years prior? .conf just keeps getting bigger and better with every year! This was by far the biggest turnout (7,000+ attendees!) and it was great to see firsthand how many people are using Splunk - with so many unique use cases. What was your favorite session of .conf2017? There were so many great sessions this year, but I really enjoyed the Splunk4Good Sessions. Using the platform to give back and champion social change is so important and learning the good that Splunk has been accomplishing while demonstrating how each of us can help was really inspiring. 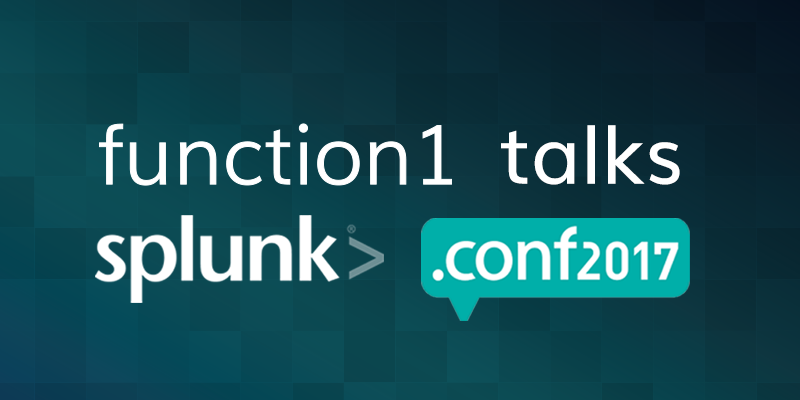 Is there a new feature you learned about at .conf that has you most excited to work with Splunk 7? It's all about the metrics! I am really excited about the new metrics feature and expect that it will be a real game-changer for customer experience. I can't wait to start using it at our clients and see the benefits! As a woman in tech, how well did you feel women were represented? There were several women highlighted in the keynotes this year which was very exciting. Haiyan Song, Splunk's VP of Security, is someone I have always admired so to get to see her again and hear her speak was really great. I was also excited to see Divanny Lamas at the keynote. Seeing how she has influenced change with the center of excellence and learning how her ideas continue to move Splunk forward was motivating - it's always great to see women in tech leadership roles. I am looking forward to watching .conf continue to grow and thrive! I'm eager to see how we'll utilize Splunk 7's updates throughout the year and am excited for all of the advances to come! The platform is constantly improving and its use cases keep expanding - it's a privilege to be a part of the journey.